Stay by way is a large and spacious accommodation designed and decorated in both traditional and modern hues. 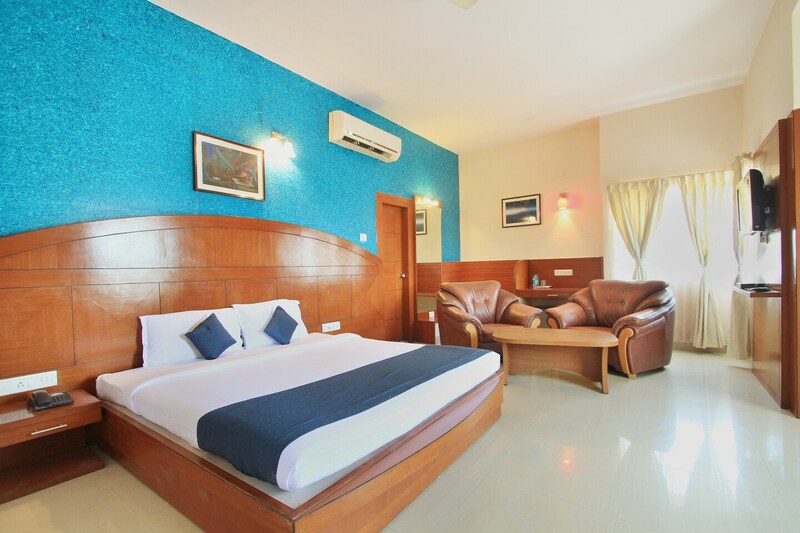 The rooms are elegantly designed and include amenities like AC and TV. The hotel has an in-house restaurant with sitting area both indoors and outdoors. One of the highlights of the property is its large lawn, which all includes a play area complete with swings and other equipment for kids. The outdoor seating area is Beautifully decorated in traditional style and overlooks the well-manicured lawns.